We all know that we should be planning for our future, especially when it comes to our funeral. Prearranging your funeral may be a daunting task, but for those you leave behind it’s a caring and selfless act. A prepaid funeral plan relieves your loved ones of the burden of planning your funeral during what will be a stressful and upsetting time. There are many questions that need to be asked when planning a funeral. By determining your choices now you can design a funeral to your personal taste. Do you know whether you want a burial or a cremation, and would your loved ones know your choice? If you choose a burial, you will need to make early decisions about your type of coffin, (for example, would you like a traditional, contemporary, wood or wicker coffin?). Depending on whether you want your funeral to be a celebration of your life or a more sombre affair, music is a key element. By preplanning your funeral you can choose the songs you want to be played that reflect your personal taste. Whether you choose live, pre-recorded or a range of hymns, your choice is certain to be personal and moving. Many people would prefer their funeral guests to donate to a chosen charity rather than send flowers. This is one of the things you can specify when planning the finer details of your burial or cremation. You can also determine whether you would like a personal tribute, simple or seasonal flowers. Whilst a hearse is the traditional method of transporting a coffin, you can specify whether you would prefer a horse-drawn or driven vehicle. These decisions also take into consideration the method of transport for your loved ones. You may have a venue that is very special to you and those closest to you that you feel would be most appropriate for your wake. Your favourite food, drink and entertainment can also be specified in your funeral plan with your funeral director. There are many other details that you may wish to consider for your funeral. This is why Open Prepaid Funerals offer bespoke funeral planning alongside our four predetermined plans. An Open Prepaid funeral is the simplest, most caring and practical way to remove the financial worry and emotional burden that unexpected funeral arrangements can bring to your loved ones. It also allows you to relax in the knowledge your funeral wishes will be carried out exactly as you planned. 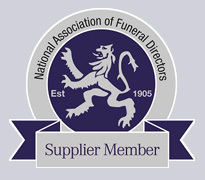 For more information please contact Open Prepaid Funerals or view our Funeral Plans for more detail about what we offer.